Before wearables made its transition from niche to mainstream, it had to circumvent snags like excessive price points and unappealing designs. Along the way, many companies successfully bypassed these hurdles, innovating and disrupting the industry at the same time. Joining big companies like Apple and Xiaomi is a Hyderabad-based startup that may be spearheading the next wave of innovation in wearable tech. “We developed gesture control technology, which is first of its kind in the world,” said CEO and founder of HUG Innovations, Raj Neravati. “This enables touchless communication with smart IOT devices,” he added. Simply put, its smartwatch can run a gamut of tasks including controlling apps, electronics, VR headsets, toys and home automation using just hand gestures! “Unlike other wearables that need to be guided using buttons or voice commands, our smartwatch has its own vocabulary of hand gestures to perform various tasks,” said Neravati. “Our proprietary tech, which comes with Contextual Intelligence, makes it possible for the same hand movements to do different things depending on where the user is or what he/she is doing,” he added. 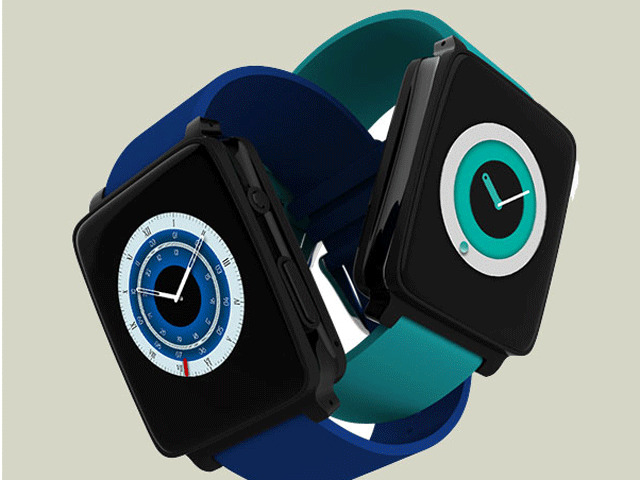 So be it playing music on a smartphone, turning on/off lights or controlling electronic devices, HUG smartwatch makes it possible without even touching a screen or tapping a button. The startup – based out of the country’s largest incubator, T-Hub – has already developed three products that leverages its gesture technology, the most popular being the smartwatch. In addition to enabling a seamless interactive experience with connected devices, HUG Smartwatch can also send out SOS signals during medical emergencies or as a precaution to avert mishaps. In fact, the drive to create a safety product which can be activated using gestures is what propelled Neravati to develop the watch. “I was emotionally connected to the Nirbhaya incident which led me to build a wearable that addresses personal safety in a holistic manner,” he said. “Every startup is born to address a market need or is inspired by an incident – Hug Innovations was born to address the safety of women,” he added. With a 1.6-inch display and equipped with a battery that can run up to 2 days on regular use, HUG Smartwatch is selling online at little under Rs 10,000. Its sleek shell and compact make also addresses one of the biggest issues of wearables – design. “It is not easy to create a device that seamlessly integrates with what people wear or carry with them all the time,” said Neravati. “But our watch has been designed keeping this mind – it looks great and is not bulky at all,” he added. The two other devices in its portfolio include a safety tracking device for children called ‘MyBuddy Smart Locator’ and an IoT-enabled fitness tracker called ‘HUG Elan’. “Using machine learning algorithms, Elan can gather critical data, including level of activity, essentially learning about the user’s lifestyle to make personlized recommendations,” said Neravati. “Additionally, it also tracks heart and breathing rates and monitors sleep patterns, among other features,” he added. Water resistant with a touch key operation, it is available on Amazon for less than Rs 5000. Most of the technology in use today has become so ubiquitous that they do not seem radical anymore. But, few could have predicted that a watch would overreach its utility to not just tell the time, but to track activities and converge with connected devices without so much as a touch of a button. “Gesture interactivity, personal safety and the connected fitness market combined provides over a billion dollar opportunity,” said Neravati, who previously worked as COO with Cigniti in Dallas, US before launching Hug Innovations in 2015. “Revenue for this year was Rs 4 crore and we have set a target of Rs 50 crore for the next fiscal year. A solid pipeline that has been built to back this growth and we are focusing on B2B and enterprise deals to deliver this growth,” he added. This includes creating a first of its kind developer platform and exposing its patented technology to the larger community in the form of a Gestures SDK. “This will enable developers (iOS, Android, .Net, Java) to use the technology and build next generation interactive application for IoT devices,” he said. The startup currently has over 17,000 customers and has also struck strategic partnerships with top notch companies to develop IoT solutions in personal safety, automotive, health & fitness, gaming and VR. “We were also fortunate to have won some amazing industry awards and accolades this year, including one for the ‘Best Hardware Startup’ by the Govt of Telangana and the ‘NASSCOM Emerge 10‘ where we were deemed one of the top 10 hottest startups to watch out for,” said Neravati. In addition to these, the startup was also selected as one of the eight finalists for Cycle 1 of the Qualcomm Design in India Challenge 2017, was Top 3 under Design4india by Facebook and Top 10 in Startups for Innovation challenge under the Global Mobile Challenge in Barcelona. 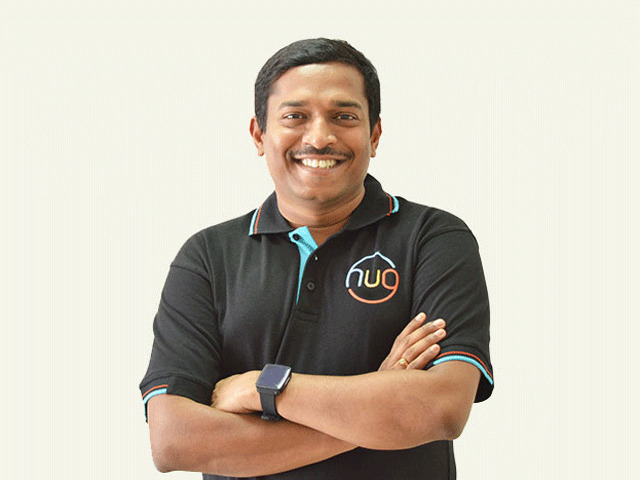 Hug Innovations also raised Series-A investment of $5 million from NRI Startup India recently. But, its entrepreneurial journey was not without challenges. According to him, present challenges for the company include producing a quality product and competing with bigger players and their marketing budgets to establish a meaningful brand. In addition to developing wearable technology solutions in the fields of AR, home automation and personal safety, the startup will be launching operations in North America to fuel its next growth curve.